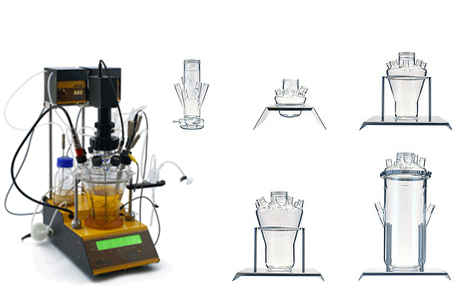 MINIFOR fermentor and bioreactor was developed with innovations breaking down the stereotypes based on the personal experiences in the laboratory. 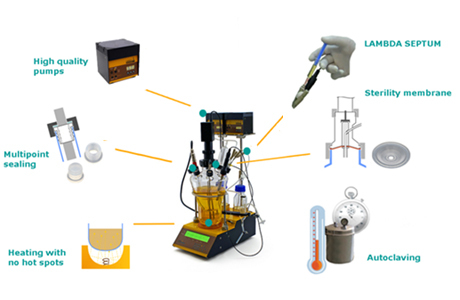 The innovations introduced are done periodically with reference to the difficulties faced while working with the traditional fermentor and bioreactor in the laboratory. 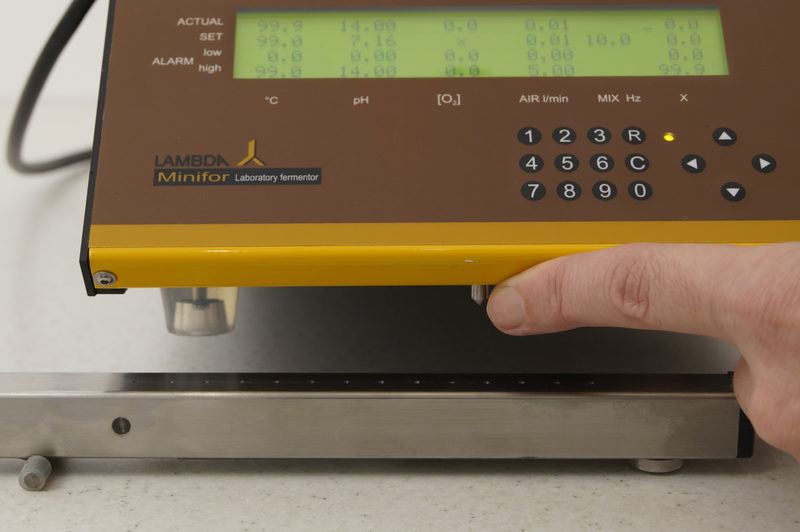 MINIFOR have the smallest footprint with dimension 220 x 400 x 380 mm (comparable to the size of A4 sheet) for all the laboratory working volumes from 35 ml to 6 L.
Only MINIFOR offers the possibility to interchange vessel volumes of 0.3 L, 0.4 L, 1 L, 3 L & 7 L with the same control unit, without the need of an expensive single use system. 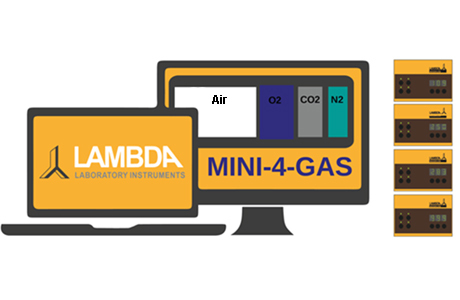 MINIFOR includes built-in MASSFLOW gas flow controller for reproducible air flow rate and to automatically control the concentration of dissolved oxygen (DO) by the flow rate variation. Did you know it took 500 millions of years for nature to develop a perfect fish tail for energy transmission in water? Only LAMBDA utilizes this know-how of nature in its unique bio-mimicking "fish-tail" agitator. 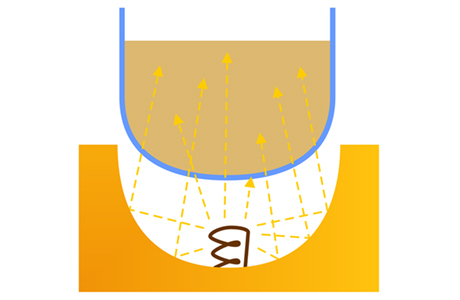 The precise temperature control with no hot spots at any medium volume inside the vessel by an IR heater, which is placed under the bottom of the vessel to optimally heat the medium from underneath. 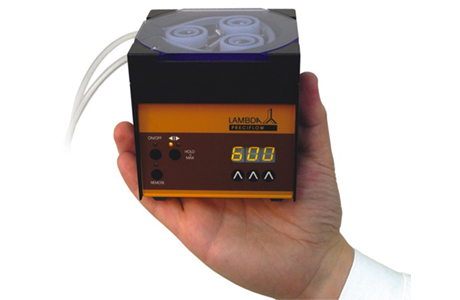 LAMBDA peristaltic pumps are specially designed to offer stable and reproducible flow rates for long term continuous processes. 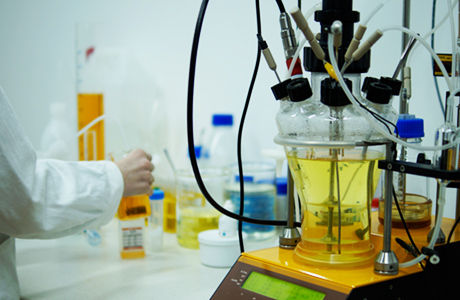 The flow rate can be varied in the ratio 1:1000. Self-cleaning micro-sparger of MINIFOR which due to its elasticity releases any deposit formed on the sparger orifice and guarantees gas inflow at all times without interruption. 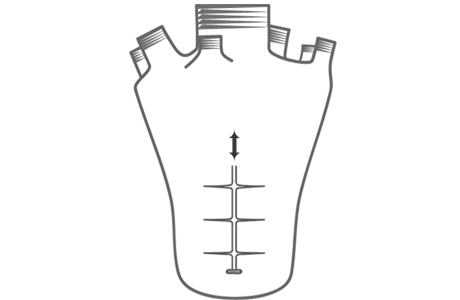 Sterile handling is made easy and perfect even for long continuous runs with unique sterility construction by eliminating the critical pieces which generate repeated costs and causes contamination. 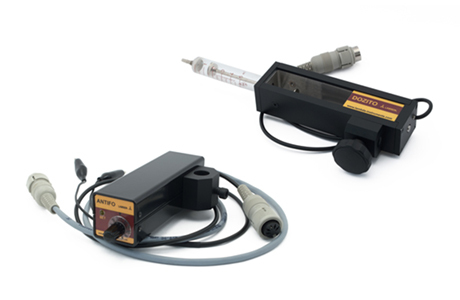 CARBOMETER, OXYMETER and METHAMETER offer the possibility to measure the concentration of Carbon dioxide, Oxygen and Methane from the exit gas / out gas. 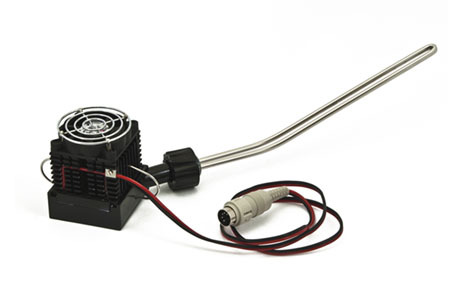 Peltier electronic cooling requires no pumps and no cooling liquid which reduces the temperature of culture medium below the room temperature and prevents the sterile outgas / exhaust filter from clogging. 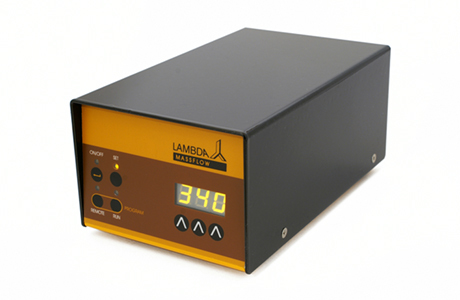 With an optional weighing module placed under the front part of MINIFOR, it is possible to control the weight exactly and consequently the amount of culture, even in presence of gas, foam etc. 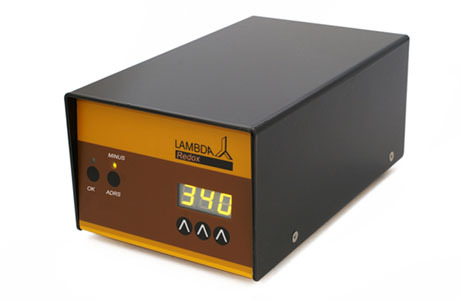 LAMBDA REDOX control unit connected to the MINIFOR allows the measurement of the Red-Ox potential and the digital transfer of the data to the PC with the help of the fermentation software. 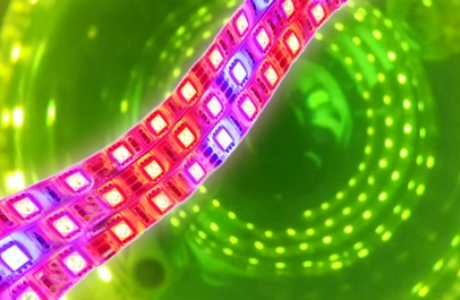 LUMO includes light control unit and LEDs to be used with the MINIFOR lab fermentor - bioreactor for precise control of light intensity, photoperiod and spectral distribution. 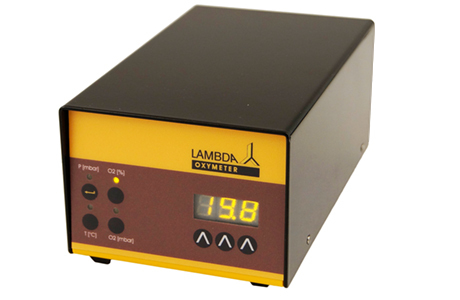 LAMBDA offers the world’s smallest antifoam detection without any expensive probes and precise control system which saves money and valuable bench space. 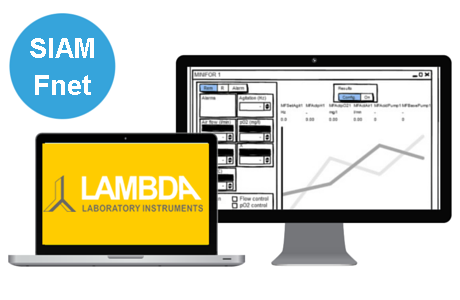 FNet, an easy to use fermentation software for common cultures and SIAM, a top notch industrial instrument control software which can control almost everything.